Stockton is a small parish and village situated in the south of Norfolk, less than 2km from the border with Suffolk, and is cut by the A143 to Bungay and the A146 to Norwich. Stockton is part of the South Norfolk Local Government District, and has an area of 364 hectares of largely agricultural land. The name ‘Stockton’ is thought to derive from Old English, though the exact meaning is confused. It may mean enclosure with tree trunks, farm belonging to a religious order, or perhaps farm dwelling made of logs. The earliest objects from the parish comprise two Neolithic axeheads (NHER 10659 and 10660), a number of tools (NHER 10661) and some prehistoric flints (NHER 23758). Unfortunately there has been little metal detecting in this area, and as a consequence there have been very few objects recovered. As a result there have been no Bronze Age or Iron Age objects recovered, and there are also no monuments from these periods recorded in the NHER. However fieldwalking has identified a probable Roman period building (NHER 23325) from finds such as pottery sherds, tile fragments, coins and fragments of painted wall plaster. Associated with these are the cropmarks of a field or enclosure nearby, also thought to date to the Roman period. Roman objects outside these contexts are limited to a coin minted under the emperor Crispus (NHER 10662), and a 1st century dolphin brooch (NHER 25950). Unfortunately no Saxon period objects have been recovered, although there is an early 20th century record that indicates Early Saxon burials may have been found in this parish. Despite this lack of archaeological evidence, the Domesday Book indicates that there were a good number of freemen and smallholders present, as well as a church and associated lands. This presumably refers to the present church of St Michael (NHER 10692), a pretty little church with a rendered round tower that may date to the Late Saxon or early medieval period. The church has a surviving 13th century nave window, and there is an interesting 16th and 17th century gabled porch front as well as the remains of some medieval glass and tiles. There have been a number of medieval cropmarks recorded across the parish, and these are thought to indicate the remains of ridge and furrow (NHER 44972 and 44975) and other ploughing activity (NHER 23757), as well as a possible pond (NHER 30619). 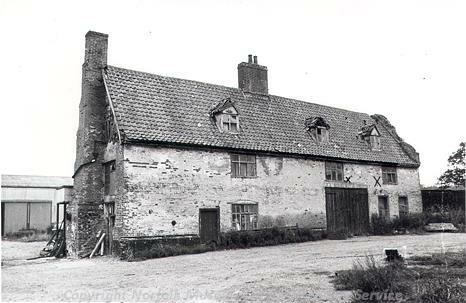 It should also be noted that Manor Farmhouse (NHER 31928) on the Bungay Road began life in 1500 as a hall. In 1600 a parlour wing was added, and the house was extended in brick in the 18th century, with 19th century servants rooms and stairs added. Also of interest is the Stockton Stone (NHER 10688), a glacial erratic that is known to have had some importance as early as 1662. Of architectural note is Church Farmhouse (NHER 12670), a 17th century timber-framed building that started life as a non-domestic building. Objects from the medieval and post medieval periods are unfortunately limited to pottery sherds (NHER 24869, 24870 and 24871), although a possible medieval strap fitting has been recovered (NHER 38103). http://www.norfolkchurches.co.uk/stockton/stockton.htm. Accessed: 24 May 2007.